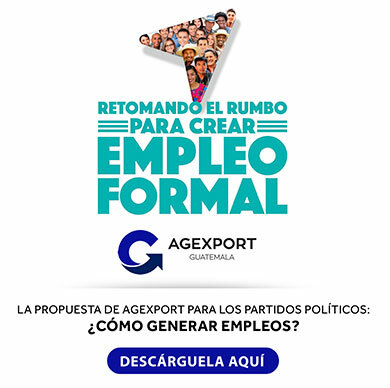 The “Innovaccion” forum organized by AGEXPORT’s manufacturing department has become the perfect ecosystem to learn and exchange ideas on the innovation processes that businesses and exporting firms requiere to compete in global markets. As well, AGEXPORT used this event as a platform to display its newest initiative to promote higher exports by closing the distance with the main global markets and reduce distribution channels. Taking into account the current effects of the 4th industrial revolution, AGEXPORT established its vision for the following 10 years on expanding the country’s exporting capacity. Today, at the eight edition of the INNOVACCION forum, we displayed our newest strategic project “Innovation AGEXPORT” with which we seek to generate new business models for small and medium enterprises. We hope to generate more employment and development for Guatemala by increasing the exports figures year by year, said Mr. Amador Carballido, AGEXPORT’s CEO. The INNOVACCION event will host 24 conferences on four key topics: Green businesses (sustainable packaging, clean labels and legislation), think big space (business innovation, smart purchase of supplies, innovation), health and wellness (food trends, organic personal care and drug products) and digital business (big data, social businesses, social media marketing for food products). These conferences will be taught by experts from Guatemala, Brazil, the United States, Colombia, Spain and Mexico; providing the attendees with tools and techniques to add innovation on different activities such as management and other related processes. The inaugural conference will be given by the Notre Dame University Director Bryan Ritchie and it is titled “good ideas, good companies, one great country”. As well, our event’s exhibition floor will host 50 Guatemalan entrepreneurships who will present their business ideas through pitch sessions and will be mentored by successful exporters to discover the potential of their ventures in global markets. As well, the event will also be used for brands to launch innovative new products, said Mrs. Aida Fernandez, manager of AGEXPORT’s manufacturing division.